Remember when Hideo Kojima said Metal Gear Solid 4 was the last MGS he was designing and he was handing off the series so he could presumably work on new and different titles? The designer initially did not want to be involved with PSP title Metal Gear Solid: Peace Walker. "At first, I was just going to create the overall guidelines and concepts for the project, and leave it in the hands my excellent staff," says Kojima. "I was going to have a hand in the project as a producer, and make titles other than MGS. But, I set the game in the South American(sic) country of Costa Rica and created a story with themes about nuclear deterrence and the cold war. It looked as if it might be very confusing to young people, because of generational differences. So, in the end I finally said, 'I'll do it.'" Phew — because he obviously knows about Costa Rica and none of his other games are confusing. Peace Walker is in good hands. 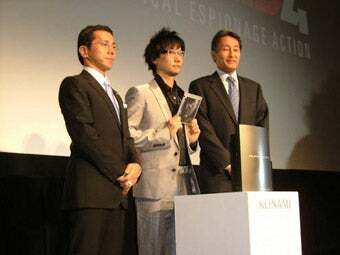 Kojima was also dragged into home console title Metal Gear Solid: Rising as well, because "it's a completely different kind of action than what has appeared in the series so far". The MGS creator adds, "I'll be working more deeply on the project then a normal producer." Delightful if you're ready for more Metal Gear, not so much so if you were looking forward to something else. Fingers crossed that after these titles are released, Kojima will finally be able to move on.